Everything you need for the delicious Vietnamese noodle soup, Phở, is in this app. 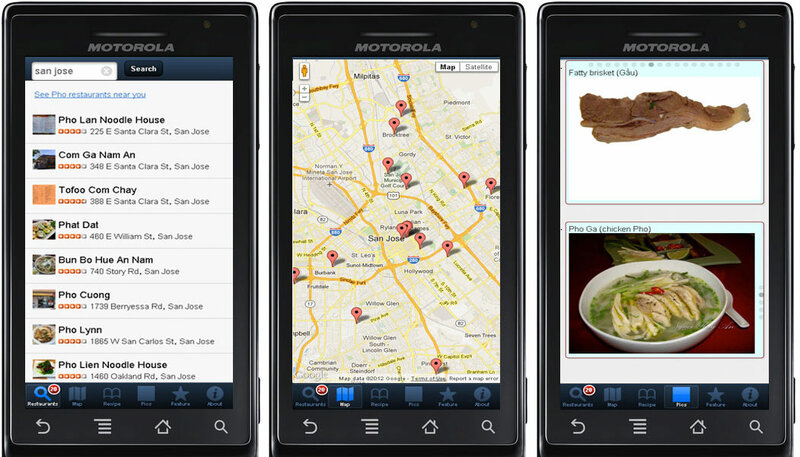 Quickly get a list of all the Pho restaurants near you and plot them all on a map. Or enter in a city name to get all the Pho places in that city. Also included is a recipe to make your own Pho. View the photo gallery of all the Pho toppings you usually get in a restaurant – brisket, steak, fatty brisket, tai, chin, gau, pho ga, etc. Finally, an app my parents would use. update: There are some pros and cons to using Sencha Touch over other mobile-specific frameworks like jQueryMobile. I’m currently working on another smartphone app using jQuery Mobile and will have it available soon.